Prague is a city with a reputation for classical music and many of these classical concerts take place in the intimate settings of historic Prague churches. Many of the Prague churches are steeped in history such as St Georges Basilica, once the official resting place for the Premyslid dynasty. 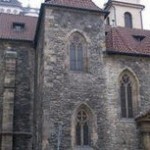 St Georges Basilica is also one of the oldest and best preserved Romanesque Prague church buildings. St Francis of Assisi Church has the second oldest organ in Prague and one which great masters like Mozart, Dvorak and Seger have all played on. Many of these Prague churches have very good acoustics and are regular venues for classical concerts. If you are spending Christmas in Prague and wish to enjoy some classical music, Prague’s beautiful churches are ideal venues. 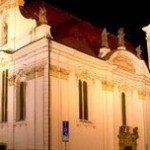 Below is a list of some magnificent churches in Prague where classical concerts are held. The Church of St Simon and St Jude stands on land on which a hospital once stood in 1354. As a result of the hospital, a chapel was necessary and hence the Kostel sv Simona a Judy was built. The church was expanded over the years until at one stage it nearly matched St. Vitus Cathedral in size.These days the Kostel sv Simona a Judy is home to thePrague Symphony Orchestra. Founded by Charles IV in 1347, the Church of Our Lady of the Snows was originally a Gothic church of the Carmelites. When the church was given to the Franciscan order in 1606, it was renovated in the Renaissance style and after 1649 it was renovated in the early Baroque style.Its main altar, at 29m high, is the largest in Prague. The Church of St Joseph was built between 1636-1653 as part of a Capuchin monastery. Located in Republic Square, its architecture is quite plain. This Lutheran church was built from 1611-1614. After the 1689 fire, it was rebuilt in the Baroque style. The tower was added in 1720 and later decorated with rococo stucco. Due to political events, the ownership of St. Salvator changed hands a few times. In 1863 it was sold to Czech Evangelists and today the “Czech Brothers Evangelist Church” congregates at St. Salvator. The unique Baroque organ in St Francis of Assisi Church is perhaps as famous than the church itself. Built in 1702, it is the second oldest organ in Prague. The great masters like Mozart, Dvorak and Seger have all played on this famous organ.The main nave at St Francis of Assisi has an unusual floor which enhances the acoustics of the church. 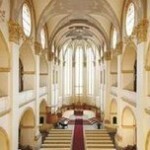 St Francis of Assisi is fine venue for Prague concerts. 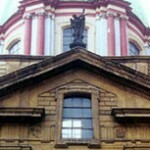 St. Georges Basilica is one of the oldest and best preserved Romanesque Prague church buildings. Until 1055, the Basilica was the official resting place for the House of Premyslid. 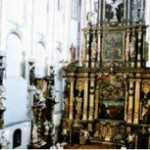 Several Czech princes of the Premyslid dynasty, including Prince Vratislav, are buried in the Basilica. Their tombs can be seen in the main nave. As its name indicates, this beautiful church in the Old Town is dedicated to St Martin. When the city walls were built in the 13th century, the south wall of the church backed onto the Old Town Wall, hence the name St Martin in the Wall.St Martin was originally built in the Romanesque style in the 12th century and its current Gothic style is the result of reconstruction in the 14th to 15th centuries. This stunning church in the Old Town Square is the most important Baroque structure in Prague and a familiar part of the city’s skyline.An important feature of this church is its frescoes. In the ceiling of the main nave, on the cupola and on the church’s gallery are important works by famous painters. Also of note are the many sculptures that adorn the church. St Salvator ChurchLocated in the Old Town Square, St Salvator was original built in Gothic style, but Baroque features were added during the final stage of its construction. This church has two magnificent organs and classical concerts are held here throughout the year.Somewhat ironic are two individuals buried in the crypt under the church: Father Konias was the destroyer of Czech books and Bohuslav Balbin, the defender of the Czech language. 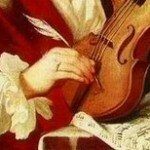 For the list of all Classictic concerts in Prague, see HERE. The post Music in Prague Churches appeared first on Czech Republic Travel.